I admit. I approve this message. It is getting harder and harder to stay neutral during this primary season when only one candidate shows up to win, and he out-conservatives the others with a relatively mild platform. 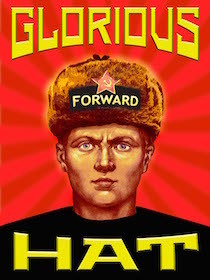 He only rates a 1.86 out of 3 in Ushanka's latest GOP rankings, yet he is ahead of the others. I hate the GOP as a party. They have never lived up to any of their rhetoric with the exception of Ron Paul. I may just vote for Trump in the primaries. In the end, whomever is president still needs Congress to enact policies for now. If GOPe wants to screw him over, I won't bother to support any Republican candidates in the future.